How are treatments being developed for neglected diseases? Historically, pharmaceutical research and development (R&D) of drugs have been driven by the private sector in order to produce the most profitable drugs. Irrespective of the therapeutic benefits that a drug can provide, drug developers will focus on treatments for diseases that inflict the wealthiest of the world (1). Unfortunately, the high costs (US$1 billion), the long time lines (10-15 years) and high failure rates of drug R&D preclude pharmaceutical investment in drug candidates that cannot be sold at prices that would recuperate the developmental costs, generate high profits, and reward shareholders. These constraints placed on drug development have made it extremely difficult using conventional avenues to provide treatments for neglected diseases endemic to the third-world. In the last decade, product development partnerships (PDPs) have been established as one way of addressing the challenges associated with the development of biomedical treatments for neglected diseases. PDPs are a variant of public private partnerships and their ultimate goal is to discover, develop, and deliver medical technologies and treatments that would relieve the burden caused by neglected diseases. PDPs are comprised of organizations that knit together the public, private academic, and civil sectors of the first and third world nations. Through transnational collaborations among the 4 sectors, they receive and manage funding for R&D, leverage in-kind investment from the private sector, provide technical oversight and portfolio management, negotiate pricing of drugs, manage IP of their medical technologies, distribute drugs in a manner that ensures equitable access and proper use of products, and establish infrastructure such as clinical sites in the third world (2). Oftentimes, each PDP focuses on a specific neglected disease (or a few) and technologies that would relieve the disease burden. PDPs have played a gargantuan role in changing the landscape of neglected disease R&D. Prior to their establishment, the neglected disease R&D pipelines were virtually empty: only 16 of 1,393 medicines developed between 1975 and 2000 were for neglected diseases (3). As of 2009, PDPs developed and licensed 12 drugs, vaccines, and diagnostics and have 32 candidates in late stage clinical trials (2). 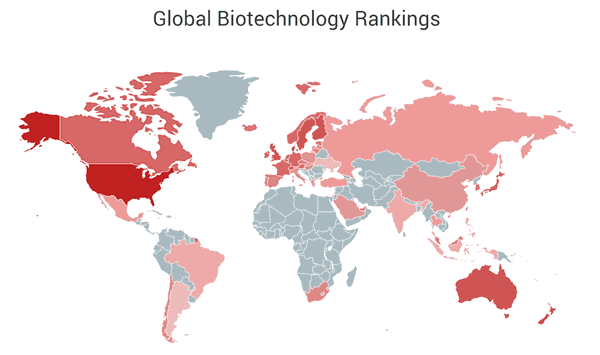 Several notable and promising candidates include the MVI/GSK RTS,S malaria vaccine (Phase III), the Aeras TB vaccine (Phase IIb) and novel antimalarials from the Medicines for Malaria Venture (MMV) that include OZ 439 (Phase IIa) and AZCQ (Phase III). Currently, there are more than 26 PDPs that are involved in medical product development, and they manage more than 140 drugs, vaccines, and diagnostic projects in their development pipelines for over 13 neglected diseases (2). How is R&D funded for neglected diseases? According to the 2010 G-FINDER (Global Funding of Innovation for Neglected Diseases) report, which monitors global investment in neglected disease R&D for innovative products; approximately US$3.19 billion was invested in 2009 (4). The global economic crisis has led to a reduction in funding from several donors and governments. However, despite these shortcomings, neglected disease funding increased by ~US$250 million compared to the previous year. The largest donor was the public sector, which contributed US$2.1 billion or 66.5% of the total funding (4). The top 3 donors of the public sector were the United States, United Kingdom, and the European Commission, which contributed US$1.46 billion, US$152.6 million, and US$118.3 million, respectively and accounted for 82.4% of all public funding. Surprisingly, Brazil and India were the top 7 and top 9 public funders with donations of US$31.8 million and US$24.6 million, respectively. The philanthropic sectors were next with contributions of US$654 million or 20.5% of the total. Of this, the Bill and Melinda Gates Foundation was the largest donor with contributions of US$567.2 million, or 86.7% of all philanthropic funding. The private sector made significant contributions as the third largest provider with an aggregate contribution of US$411.2 million, which amounts to 12.9% of the total. From the private sector, US$337.9 million, or 82.2% of the total private sector donations, was donated by multinational pharmaceutical companies. Approximately US$530 million, or 16.6% of the total funds from the public, philanthropic, and private sectors were allocated to product development partnerships (PDPs) of which US$485.6 million or 91.6% went to only 12 PDPs. Funding for the diseases was highly skewed with HIV/AIDS, TB, and malaria receiving nearly 71.9% of the total funds for R&D in 2009 (4). Although HIV, TB, and malaria saw increased funding for 2009, their overall share of the total dropped slightly from 72.8% in 2008 to 71.9% in 2009. This is a reflection of a more evenly distributed funding of neglected disease areas than in previous years. Despite this change, diarrheal diseases, pneumonia, and other equally high-burden diseases as measured by disability-adjusted life years (DALY), received less than 8% of the total funding. How can we provide private sector incentives for neglected disease drug development? Over the last two decades, it has been common practice to incentivize investments in neglected disease R&D in order to help ameliorate the difficulties and uncertainties in drug development. In particular, a plethora of innovative “push and pull” mechanisms have been instituted to lure private sector investment. “Push” mechanisms provide reduction of R&D costs and risks for industry such that it attracts private sector investment towards generating new drugs. In contrast, “pull” mechanisms make the market more attractive to investment by rewarding companies for reaching milestones or completing stages of product development. The product development partnership (PDP) is the preferred “push mechanism” to stimulate neglected disease R&D. The Medicines for Malaria Venture (MMV), the Aeras Global TB Vaccine Foundation, the International AIDS Vaccine Initiative (IAVI), and the Program for Appropriate Technology in Health (PATH) have emerged as the top PDPs in neglected disease drug development and received a combined ~US$300 million in funding in 2009 (4). Reports show that in the near future, many drugs and vaccines in the PDP pipelines will qualify for late stage clinical trials. Testing of all such candidates will require exorbitant amounts of funding and resources that will far exceed levels from previous years. Increased donor funding, cost cutting measures, prioritization of candidate drugs, and efficient mobilization of resources among the PDPs will be needed for this to come to fruition. As a step towards this end, several PDPs have implemented cost cutting measures and are mobilizing resources by outsourcing R&D. In 2011, Quintiles was named as a preferred contract research organization (CRO) for 14 PDPs and the Global Health Product Development Partnership Consortium (5). Combined outsourcing of R&D to a CRO such as Quintiles ensures cost effective use of PDP funding by reducing redundancy of required resources while maintaining high levels of specialized service from experienced professionals. Although the PDPs serve an integral role as a push mechanism in drug R&D for neglected diseases, the majority of the PDP funding (~60%) is dedicated towards only 3 diseases: HIV/AIDS, tuberculosis, and malaria (4). This means that PDPs are not adequate push models to stimulate R&D for the remaining neglected diseases that fall outside of this category. Such diseases include diarrheal diseases and pneumonia, which have higher disease burdens and less funding (<10% of the total funding) than the aforementioned three. In recent years, Dr. Francis Collins, the director of the National Institutes of Health (NIH), has proposed the formation of the National Center for Advancing Translational Sciences (NCATS) to expedite the translation of discoveries in the lab to the clinic (“bench to bedside”) by providing resources such as high throughput screening (HTS) services of the NIH chemical libraries to small and medium sized biotech and pharmaceutical companies. Such services from NCATS will allow NIH researchers to validate drug targets, develop promising lead compounds, and explore the preclinical stages of the drug development pipeline. This institute, which is expected to be up and running by October 1st, 2011, will combine several existing programs, such as the Therapeutics for Rare and Neglected Diseases (TRND), and have a budget close to US$700 million (6). Because the exact details of the institute have yet to be revealed, it is uncertain as to the amount of resources that will be dedicated to neglected disease translational research. However, there is no doubt that NCATS will serve an important role as a “push” mechanism in the future for the lesser funded neglected diseases in the preclinical stages of drug development. Surprisingly, one push mechanism that has not been implemented for neglected diseases R&D is a tax credit. In 2009, a legislation to create a tax credit, HR 3156, was introduced in the U.S. House of Representatives by Republican Donald M. Payne (7). The purpose of this tax credit is to incentivize preclinical R&D with the hopes that new candidates will be further developed by PDPs. For these efforts, the companies would receive a 50% tax credit that would only cover preclinical research spending in the development of medical products for neglected diseases (with the exception of HIV/AIDS). This credit would cover approximately 85% of the developmental costs for a company that is taxed at a 35% tax rate. Skeptics of the tax credit state that the incentives are insufficient to capture suitable interest from the private sector by pointing to the low uptake of UK’s Vaccine Research Relief Programme (8). However proponents of the tax credit argue that tax incentives will draw companies that are on the fence in participating in drug development out of goodwill, interest in entering emerging markets, and interest in improving public relations of the company in the first and third-world countries. Arguably, one of the most important areas that drives innovation in the pharmaceutical industry is intellectual property protection. Intellectual property rights in the form of patents grant market exclusivity of a medical product for 20 years from the date of application to the U.S. Patent and Trademark Office. This provides the necessary incentives for companies to develop a product, recuperate the costs of development, and sell their products without having the threat of a competitor selling a cheaper copy for a defined length of time. Patent protection is necessary and it is incontrovertible that continued research and development for new and better medicines is dependent on its existence. However, in some instances, patents and IP can discourage R&D initiatives because of costly licensing fees, royalties, and access restrictions. Patent pools address this issue by allowing access to a set of related patents for free, or for a nominal fee. The Pool for Open Innovation against Neglected Tropical Diseases is an example of a patent pool for neglected disease R&D. Patent pools accelerate the development of drugs for neglected diseases through the sharing or “pooling” of IP that is owned by private companies, academic institutions, and government. The Pool for Open Innovation against Neglected Tropical Diseases is a patent pool created by GSK and administered by BIO Ventures for Global Health. The patents in this pool are granted in a worldwide non-exclusive format for the research and development of therapeutics for neglected tropical diseases for sale in least developed countries (9). In February 2009, GSK contributed a total of 13,500 previously proprietary chemical compounds to this patent pool for use by any scientist working on malaria (16). The Universities Allied for Essential Medicines (UAEM) is a private non-profit student organization advocating for equitable access to medicines for people in least developed countries. UAEM has proposed the Global Access-Licensing Framework, which summarizes the goals and strategies for the removal of IP restrictions and legal barriers for the generic production of medicines and health-related technologies for use in low and middle-income countries (10). Pharmaceutical companies have criticized such proposals and it remains to be seen if such policies will be implemented in the future (11). As a complement to “push” mechanisms, effective “pull” mechanisms are also being used to spur neglected disease R&D by rewarding companies once a viable product reaches the market (or for completing milestones). One example of a pull mechanism is the priority-review voucher (7). 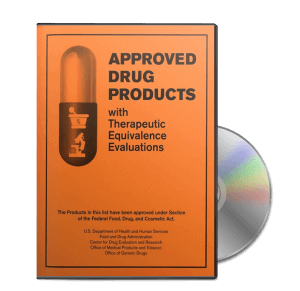 Added to the Food and Drug Administration Amendments Act in 2007, the priority-review voucher entitles a company to an expedited review of a future new drug application of any single medical treatment. In order to be eligible, the company must initially develop a treatment for a neglected disease and it must receive regulatory approval from the FDA. By shortening the FDA review process by 4-9 months, the priority review voucher is estimated to increase revenues for the company by US$50 million-US$500 million through expedited delivery of a treatment to the market or through the sale of the voucher to another company. In 2009, Novartis was the first company awarded with a priority review voucher after the approval of CoartemÒ, an artemisinin combination therapy (ACT) composed of artemether and lumefantrine for the treatment of malaria (17). A second example of a pull mechanism is the advanced market commitment (AMC) (7). In the AMC mechanism, procurement funds from large organizations such as the Global Fund guarantee a large stream of sales for the product at a modest profit, which at the very least will cover the developmental costs incurred by the company (12). The Pneumococcal AMC is a pilot program that has been successfully implemented to bring forward the availability of effective pneumococcal vaccines through a predictable market and vaccine pricing (13). This pilot program is estimated to prevent more than seven million childhood deaths by 2030. Successful implementation of this program may increase interest in AMCs and other pull mechanisms for neglected disease drug development. The annual number of medical, biological, and life sciences graduates has risen significantly over the years from ~8,000 in 2003 to ~15,000 in 2007 (14). Despite the trend, the number of academic and industry jobs has not increased proportionally. The recent economic downtown and drying drug pipelines in pharmaceutical companies has exacerbated the problem because pharmaceutical and biotech companies have been forced to downsize their R&D workforce in order to trim costs (18). The reality for postdoctoral fellows is that only 15% of all life science PhDs will have a tenure track within 6 years of graduation (14). Most of the postdoctoral fellows will flirt with industry prospects; however, there is a catch 22 for getting an industry job: you need 1-2 years of industry experience, but entry level positions are rarely available for scientists who have recently obtained their PhDs. My proposal to incentivize private sector investment in neglected disease R&D is to allow a sizeable company involved in neglected disease R&D projects access to a postdoctoral workforce subsidized through government fellowships. Yes. The idea is to divert a portion of the NRSA funding (National Research Service Awards) and research training grants from the NIH towards a postdoctoral fellowship in a private company involved in R&D for neglected diseases. The candidate must not have any post-PhD industry experience and must ONLY work on neglected disease R&D. Strict guidelines will be enforced for this rule. Any major transgressions by the company will result in cuts to the number of fellows who could join the company under this program. Under this program, PDPs and companies will compete for fellowship spots through an evaluation system based on written grants and needs. The grant scores and needs will determine the number of fellows that companies can recruit. The company will select recruits through a standard job application process. In 2010, excluding training grants, ~$160 million in NRSAs funded ~3200 postdoctoral fellows for academic research (15). The plan would dedicate at least 20% of the funding (~$32 million) to the new fellowship program. Because this is a government-sponsored fellowship, postdoctoral fellows will be paid the NIH minimum salaries (instead of industry postdoctoral fellow salaries). The funding will be guaranteed for 2 years, which will be enough industry experience for a full time position. How many fellowships will this create in industry? Assuming that 20% of the NRSA funding is diverted to the new fellowship program, 900 fellowship positions will be funded. Every year, approximately 50% more fellowships will be awarded in industry than if they were awarded in academics. More fellowships can be awarded because the NIH does not have to bear the additional overhead costs (an additional ~50-60% of the award) that it normally pays to the recipients’ academic institutions. Will the fellowship cost more money? No. The funds will be diverted from the NRSA (National Research Service Awards) to fund this new fellowship program. Why should we be subsidizing labor costs for private industry? Most of the money that is used to subsidize the fellowships will be recuperated through increased tax revenue as a result of job creation. Tackling the global problems of neglected diseases and improving healthcare in the developing world are challenges to the global community that require participation from all sectors of society. Many of the private sector incentives discussed here have been in existence for a short period of time, which makes it difficult to assess the long-term returns on society’s investment. However, there is no doubt that many of the policies and incentives are paramount for neglected disease R&D. Innovative strategies, incentives, and mechanisms will continue to play a pivotal role in advancing neglected disease R&D in the future. Philip, Stevens. Diseases of Poverty and the 10/90 Gap. Rep. Web. 30 May 2011. <http://www.who.int/intellectualproperty/submissions/InternationalPolicyNetwork.pdf>. Innovative Product Development Partnerships. Rep. no. 26. IAVI, Sept. 2010. Web. 30 May 2011. <http://www.iavi.org/Lists/IAVIPublications/attachments/eb7b4247-6816-4094-9f54-9f2f2b99e95a/IAVI_Innovative_Product_Development_Partnerships_2010_ENG.pdf>. Grace, Cherie. Product Development Partnerships (PDPs): Lessons from PDPs Established to Develop New Health Technologies for Neglected Diseases. Rep. HDRC, 02 June 2010. Web. 30 May 2011. <http://www.dfid.gov.uk/Documents/publications1/hdrc/lssns-pdps-estb-dev-new-hlth-tech-negl-diseases.pdf>. Neglected Disease Research and Development: Is the Global Financial Crisis Changing R&D? Rep. Policy Cures, Feb. 2011. Web. 30 May 2011. <http://www.policycures.org/downloads/g-finder_2010.pdf>. “QUINTILES NAMED A PREFERRED PROVIDER TO GLOBAL HEALTH – Quintiles.” Pharmaceutical Clinical Research Organization CRO, CSO & Consulting – Quintiles. 25 Mar. 2011. Web. 30 May 2011. <http://www.quintiles.com/news/press-releases/2011-3-25/preferred-provider-global-health/>. “NIH ‘Pushes Ahead’ With NCATS | The Daily Scan.” GenomeWeb. 24 Feb. 2011. Web. 30 May 2011. <http://www.genomeweb.com/blog/nih-pushes-ahead-ncats>. Anderson, GF, Health Affairs, 28:1750-9, 2009. Rao, Aarthi. Can a R&D Tax Credit Expand Investment in Product Development for Global Health? Rep. Center for Global Health R&D Policy Assessment, 28 Feb. 2011. Web. 30 May 2011. <http://healthresearchpolicy.org/sites/healthresearchpolicy.org/files/assessments/files/Tax%20Credit%20Draft%20Consultation%20Draft%202%2028.pdf>. Pool for Open Innovation. Web. 30 May 2011. <http://ntdpool.org/>. “Global Access Licensing Framework (GALF) V2.0 | Universities Allied for Essential Medicines.” Home | Universities Allied for Essential Medicines. Web. 30 May 2011. <http://essentialmedicine.org/archive/global-access-licensing-framework-galf-v20>. Intellectual Property & Access to Medicines in Developing Countries. Rep. GlaxoSmithKline, Apr. 2011. Web. 30 May 2011. <http://www.gsk.com/policies/GSK-on-IP-and-access-to-medicines-in-developing-countries.pdf>. Kazatchikine, M. Global Forum Update on Research and Health. Volume 6: 138-141, 2009. Vaccine AMCs. Web. 30 May 2011. <http://www.vaccineamc.org/pneu_amc.html>. Cyranoski, D. et al., Nature, 472: 276-279, 2011. “NIH Research Training Opportunities: National Research Service Award (NRSA) Training Grants and Fellowships.” OER Home Page – Grants Web Site. Web. 30 May 2011. <http://grants.nih.gov/training/nrsa.htm>. Gamo, F. et al., Nature, 465: 305-310, 2010. “PRVs | Biopharmaceutical Innovation for Neglected Diseases | BIO Ventures for Global Health (BVGH).” BIO Ventures for Global Health | Global Health Initiatives through Biopharmaceutical Innovation. Web. 30 May 2011. <http://www.bvgh.org/What-We-Do/R-D-Incentives/Priority-Review-Vouchers.aspx>. Staton, Tracy. “For Tough 2010, Pharma Cuts Billions from R&D – FiercePharma.” Pharma News, Pharma Industry, Pharmaceuticals Industry – Fierce Pharma. Fiercepharma.com, 04 Feb. 2010. Web. 30 May 2011. <http://www.fiercepharma.com/story/tough-2010-pharma-cuts-billions-r-d/2010-02-04>. This article was written by Dr. Jason Chong, a postdoctoral IRTA research fellow at the Laboratory of Malaria and Vector Research (LMVR) at the National Institutes of Allergies and Infectious Diseases (NIAID)/National Institutes of Health (NIH). He received his PhD from the Department of Neurobiology and Physiology at Northwestern University/Howard Hughes Medical Institute (HHMI). He can be reached at [email protected].